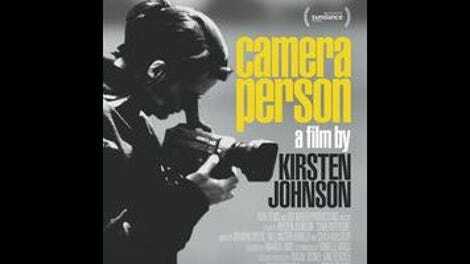 There’s a startling moment at the beginning of Cameraperson that immediately conveys the film’s unusual nature. Opening credits are superimposed over a shot of an ordinary country road in Missouri—the horizon line low, the sky vast and overcast. Crickets chirp. A couple of cars barrel past. Then, suddenly, a jagged bolt of lightning shoots down the left side of the frame, followed a few seconds later by a loud clap of thunder. It’s gorgeous to behold… but what really catches you off guard is the sound of the camera operator gasping at the lightning, which she clearly wasn’t waiting for and hadn’t expected. Were this amateur footage, her involuntary expression of awe would be unremarkable. Here, the shot is so blatantly professional, so carefully composed (the addition of the credits helps, too; not a coincidence), that any acknowledgement of a particular human being’s presence behind the camera feels like a strange violation. Cameraperson foregrounds that sort of violation. 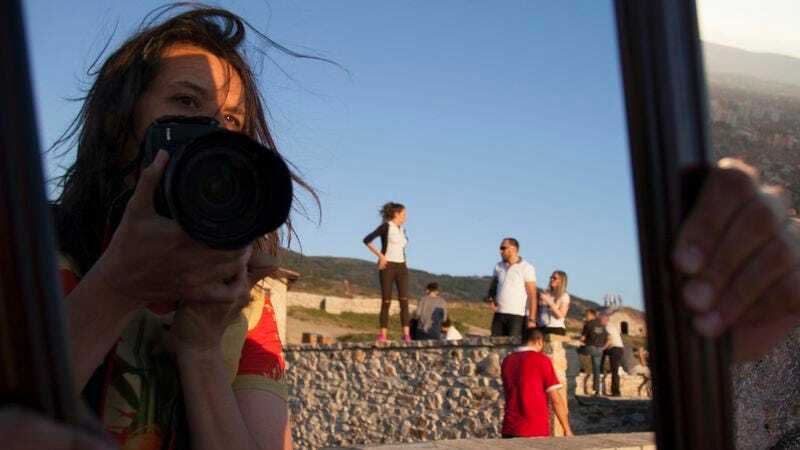 Director Kirsten Johnson has worked primarily as a cinematographer on documentaries, collaborating with everyone from Michael Moore to Laura Poitras; the footage in this movie was originally shot for about two dozen other projects. It’s a collection of leftovers, basically: images Johnson’s camera captured that didn’t make the final cut, but which stuck with her nonetheless. The most memorable of these snippets provide a sense of what Johnson’s job entails, making it clear just how much of the “objective reality” seen in docs has been arranged—not with an intention to deceive, necessarily, but just in an effort to improve the shot. At one point, Johnson’s hand enters the frame and plucks a tall blade of grass that’s obscuring the view. Later, we see her keep slightly moving an object—not the shot’s focus, nor even very important—until she presumably decides it’s in the right place to balance the composition. Stuff that normally gets trimmed has been afforded a showcase. Thematic unity isn’t everything though, and Cameraperson offers enough singular, rarely seen moments to compensate for the overall messiness. Johnson’s offscreen noises tell a wide-ranging story on their own, from her giggle every time something funny happens to her tiny groans when a little boy she’s filming in Bosnia—maybe 2 or 3 years old—starts playing with an ax while left unattended. (She keeps muttering “Oh, Jesus,” but she doesn’t intervene. Discuss.) And even the material that seems out of place, in the somewhat paradoxical sense that it wouldn’t seem out of place in an ordinary doc, strengthens one’s sense of who Johnson is and what interests her. As an autobiography told in pictures rather than words (including occasional glimpses of Johnson’s parents and her children), Cameraperson makes a strong case for the merits of the observational life. As a bonus, it also demonstrates what it looks like when the person who’s holding the camera sneezes.